Sharon Tran is an Assistant Professor of English. Prior to joining the faculty at UMBC in fall 2018, she completed a postdoctoral fellowship in the Department of American Studies and Ethnicity at the University of Southern California. Her scholarly research focuses on 20th and 21st century multiethnic American and Asian American literatures with an emphasis on cultural studies and gender studies. At present, she is working on a book project that takes up the “Asian girl” as a portal for exploring questions of power, neoliberal subject formation, and vulnerability and how they intersect, in particular, with race and gender. 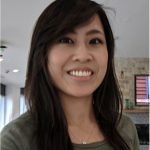 Dr. Tran’s writing has been published in Amerasia and MELUS and her article on Orientalism, speculative aesthetics, and multispecies justice is forthcoming in the Journal of Asian American Studies.